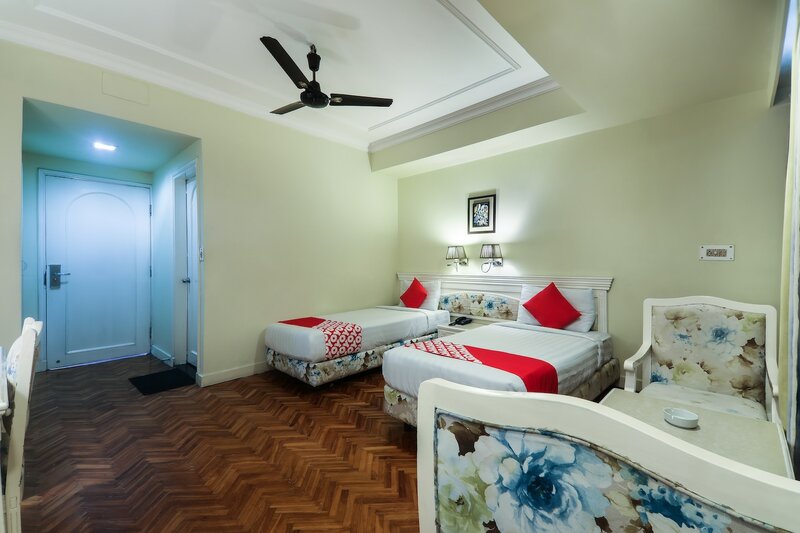 Hotel Alpine Continental offers a palatial stay and is located at Thana Road. The whole place is beautifully decorated and offers premium services. The interiors of the room are plush and elegant. Walls are decorated with wooden finishing and artistic paintings. The modern wooden furniture in the room ensures a relaxing stay. Bathrooms are also well designed and equipped with basic necessities. Various modern amenities including hair dryer are offered in the room for the comfort of the guests. The in-house restaurant and bar is a well-designed space offering delicious treats. The conference room and banquet hall here can be used for functions or events. Various other amenities offered here include free Wi-Fi, power backup, parking facility and laundry service. CCTV cameras are also installed in the premises for the security of your stay here. Wards Lake, Lady Hydari Park and Spread Eagle Falls are some local attractions near the hotel where guests can visit while staying here.